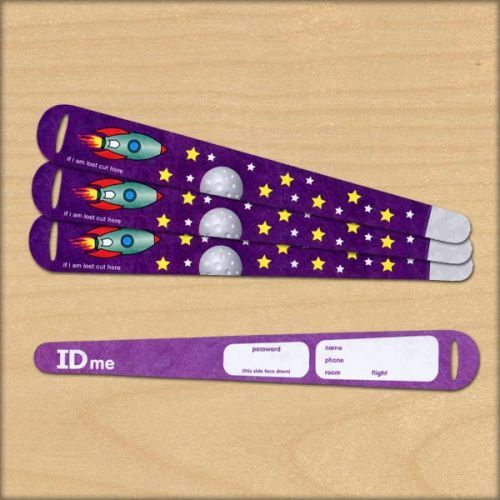 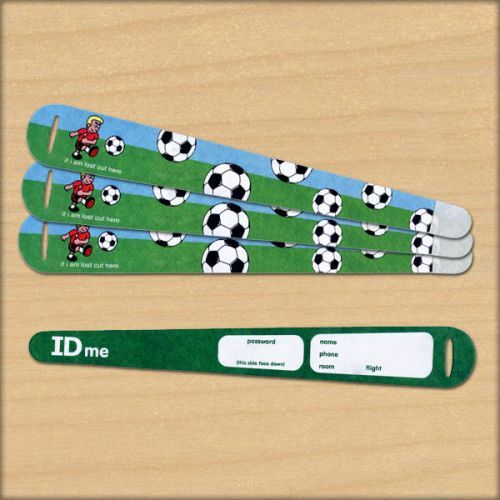 A pack of 10 single use childrens ID wristbands. 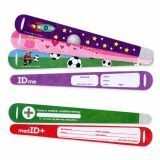 If you are worried about your children getting lost whilst on day trips or holidays, make sure they wear an ID wristband. 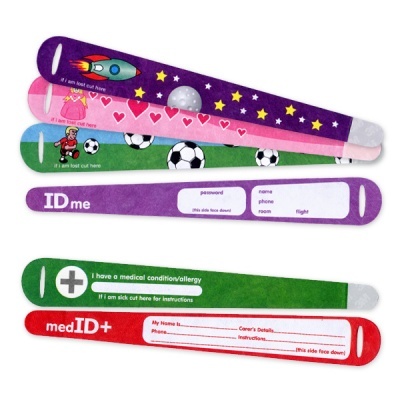 Our ID wristbands come in a range of colourful designs. 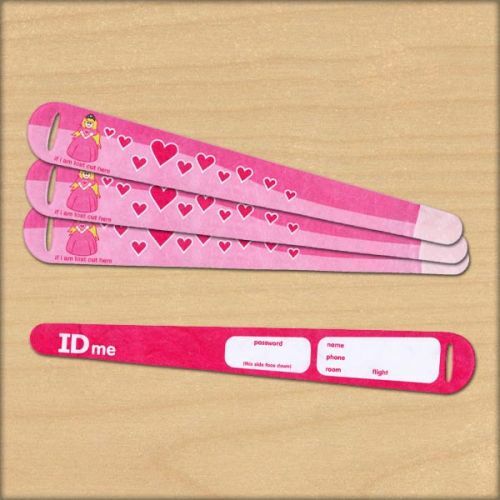 On the inside of the wristband are spaces for writing contact information such as a contact name, phone number, flight or the hotel room. The wristbands are made from durable Tyvek® a lightweight, hypoallergenic material that is both waterproof and tearproof. 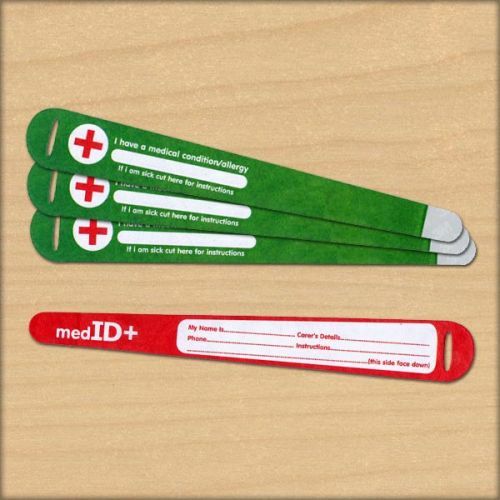 A strong self adhesive fold over tab ensures that the ID bands are held securely on the wearers wrist.